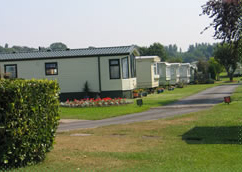 Newbus Grange Country Park is a beautiful holiday retreat, situated between the pretty villages of Neasham and Hurworth in what was once the rose gardens of a country house. Although only a couple of miles from all the facilities you could need, Newbus Grange takes you to a delightfully different world of peace and tranquillity. Within easy reach of the A1 and A66.